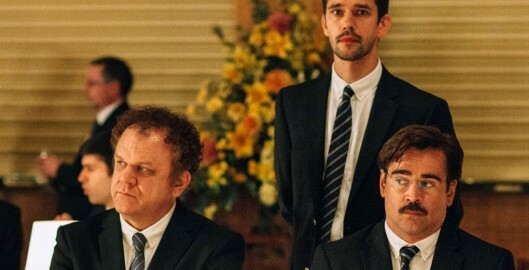 Colin Farrell, Rachel Weisz and John C. Reilly star in the deliciously bizarre new film from Greek auteur Yorgos Lanthimos (Dogtooth, ALPS), about a curious hotel where the residents are charged with finding a new mate within 45 days — under penalty of being transformed into animals should they fail. Directed by Yorgos Lanthimos. Written by Yorgos Lanthimos and Efthymis Filippou. Starring Léa Seydoux, Rachel Weisz, Colin Farrell, Ben Whishaw, John C. Reilly, Ariane Labed, Olivia Colman, Ashley Jensen, Jessica Barden and Rosanna Hoult. Release date October 16th, 2015 (Ireland), May 13th, 2016 (USA). Return to Thumbnail View.